1979 action car-launcher set licensed by the Meccano toy company in France. 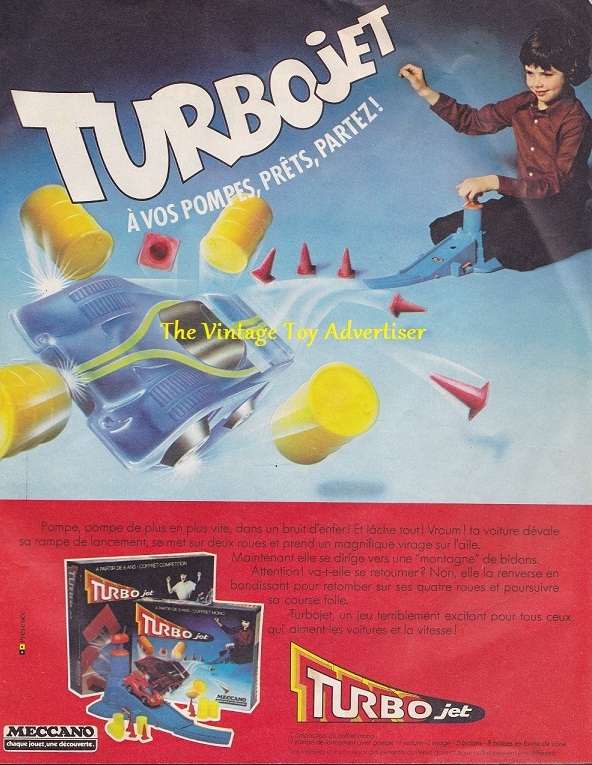 This entry was posted in TURBOJET and tagged 1970s toys, 1980s toys, Meccano Turbojet car game, the vintage toy advertiser, Turbojet, vintage toy advertisements on February 7, 2013 by The Vintage Toy Advertiser. TVTA has now published 3,193 print adverts! That’s enough advertising to encircle the planet three times, hot enough to fry an egg, deep enough to contain six olympic swimming pools and faster than a cheetah driving a Formula One car! !